VIETNAMESE MEDIC ULTRASOUND: CASE 533: RETROPERITONEAL HEMATOMA, Dr PHAN THANH HAI, MEDIC MEDICAL CENTER, HCMC, VIETNAM. 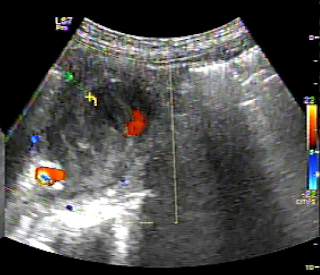 CASE 533: RETROPERITONEAL HEMATOMA, Dr PHAN THANH HAI, MEDIC MEDICAL CENTER, HCMC, VIETNAM. 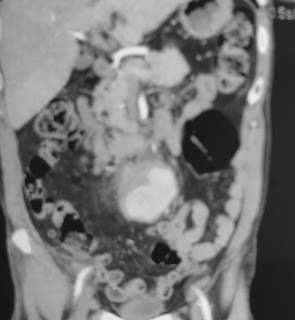 MAN 60YO WITH ACUTE EPIGATRIC PAIN. 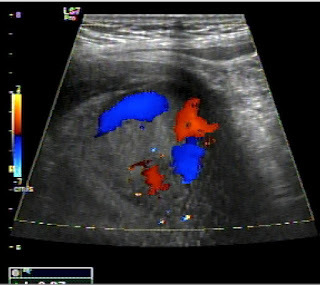 U S 1 : RIGHT KIDNEY HYDRONEPHROSIS IN FIRST DEGREE). U S 2 : ONE 9CM MASS AT BIFURCATION OF ABDOMINAL AORTA TO PELVIS, HYPOECHOIC STRUCTURE WITH DEPLACEMENT OF R/L ILIAC ARTERIES). 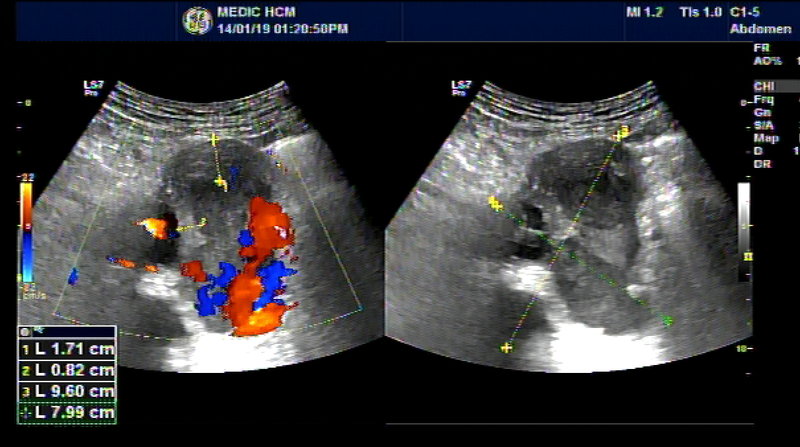 U S 3: THIS MASS AT LEFT ILIAC ARTERY. U S 4 : THIS MASS AT RIGHT ILIAC ARTERY. IT COULD BE A HEMATOMA IN RETROPERITONEUM. 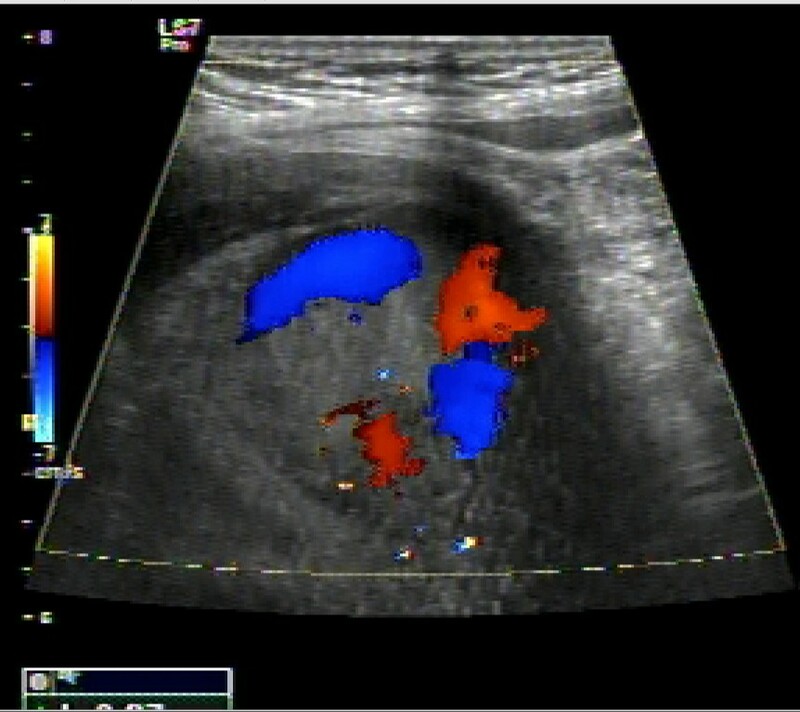 C T 1 : CROSSED SECTION AT R/L KID SHOWS HYPOPERFUSION IN RIGHT KIDNEY. C T 2 : CROSSED SECTION AT PELVIS MASS RUPTURE OF ILIAC ANEURYSM. 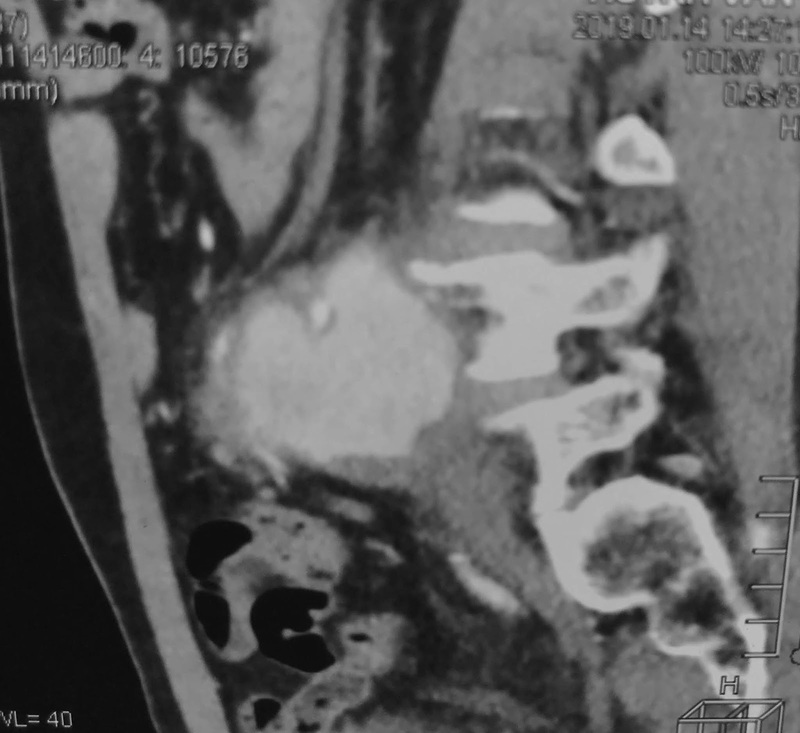 C T 3: FRONTAL VIEW. 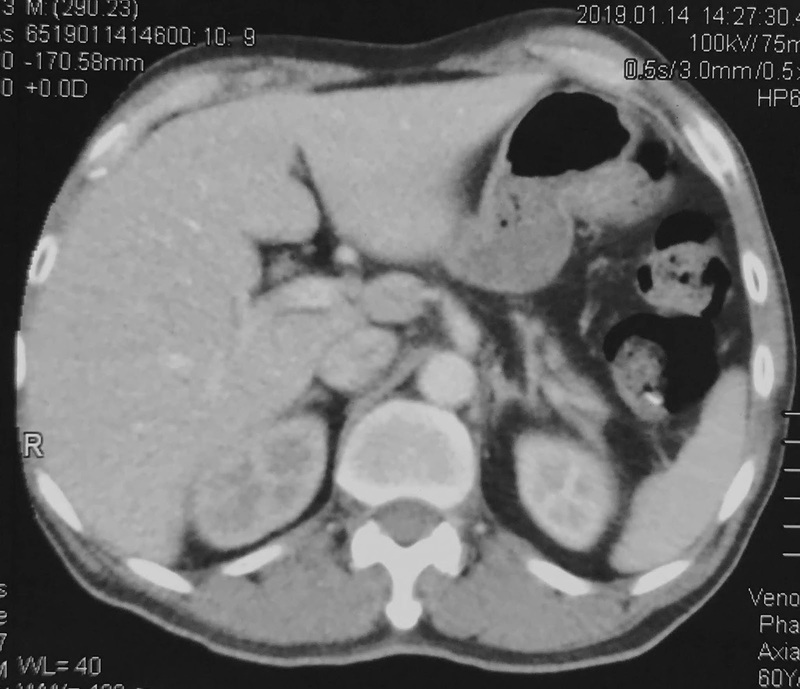 C T 4: SAGITTAL VIEW OF THIS MASS. 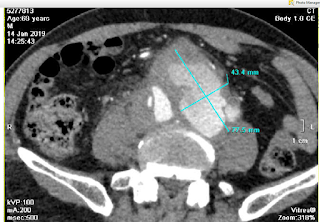 C T 5: 3D VASCULAR RECONSTRUCTION WITH 2 MASSES LEAKING OF CONTRAST AT R/L ILIAC ARTERIES. 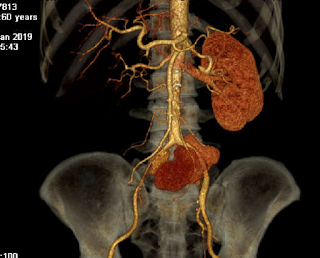 EMERGENCY ENDOVASCULAR STENTING OF R/L COMMUN ILIAC ARTERIES WAS DONE SUCCESSFULLY. 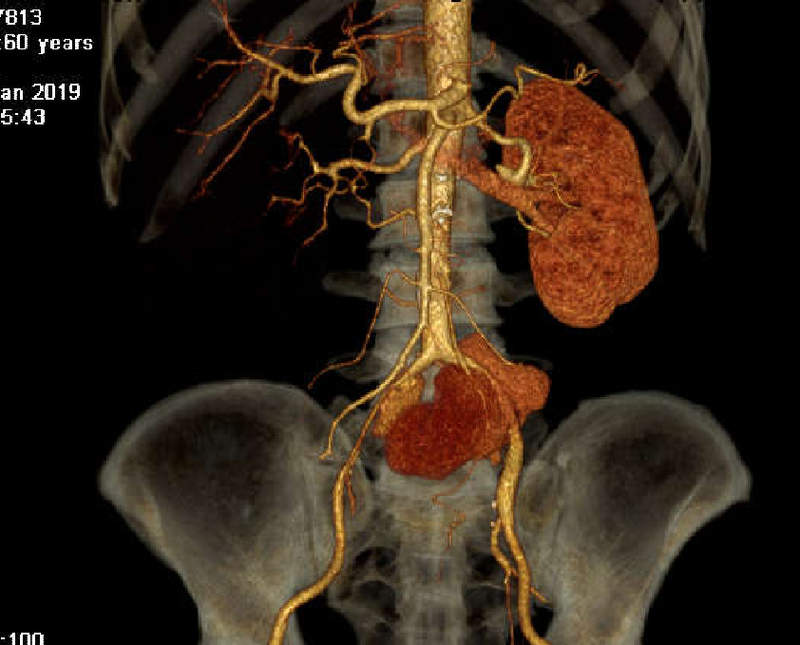 SUMMARY: HEMATOMA IN RETROPERITONEUM DUE TO RUPTURES OF R/L COMMUN ILIAC ARTERIES ANEURYSMS DETECTED BY ULTRASOUND AND CT WITH CE.